Aromatic and enticing, both fennel and oregano embody so much that is attractive about Italian dishes. Combined with either meat or fish, they cut through the animal fat with a flourish, lifting the individual dish to culinary heights that would not otherwise be possible. Oregano in its dried form was one of the first herbs to be introduced to a mass northern European audience, sometime around the late 60's when Mediterranean food began to be more widely available. A staple of the Greek kitchen, in terms of Italian food it spent many years being sprinkled into thousands and thousands of so-called Bolognese sauces, even though the authentic version from the region of Emilia Romagna has never seen the need to turn to any assistance from the herb garden. The fresh version of the herb can be used as a raw ingredient in a range of summer salads, for example teaming up with a combination of oil, goat’s cheese, broad beans and raw spinach, garnished with a few toasted pine nuts. A pan roasted chicken breast, beaten flat with a hammer or rolling pin and anointed with some lemon juice and oregano leaves is another winner. The same is true of a fillet of white fish. But always remember to add the fresh leaves to the pan for only the final minute or two of the cooking process, otherwise they will suffer from the intensity of the heat. It is also worth remembering that should you invest in a pot of fresh oregano, or propagate it from seed, this is one herb that should be reserved for the window box as exposure to the vagaries of the northern European climate will leave it badly exposed. 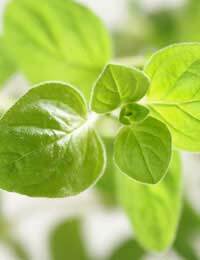 The good news is that while many herbs do not translate very well in their dried form, the intensity of flavour that the process draws out from the oregano leaf means it can make a positive contribution to a range of braises. Whether using the seeds, fronds or bulb, fennel brings an unmistakable aniseed accent to the proceedings that can be accentuated, should you desire, by adding a splash of pastis to the pan. Many cuts of meat and fish will benefit from a simple tomato sauce accompaniment enlivened by a few fennel seeds. You will also note their presence in many fresh Italian sausages on the delicatessen counter. Fennel in a Gratin or Summer Salad? The bulb works well in a gratin, in thinly sliced layers, baked in the oven with a little pastis, a few knobs of unsalted butter and freshly grated black pepper. Remember to cover the dish with grease proof paper to prevent the top layer burning. Quartering the bulb, par boiling in a sauce pan and then finishing off in the oven with butter and Pecorino Romano will deliver another elegant yet earthy side dish. For a summer salad with a difference, thinly slice a fennel bulb and toss raw with salad leaves, oil and lemon juice, adding some chopped frond as a garnish. Many aspiring cooks are rather intimidated by the sight of a fennel bulb, but simply having the courage to tackle one for the first time - removing the stalks and the woody core, before reserving the fronds – will broaden your range of recipes and bring a regular taste of the Mediterranean to your dinner table.